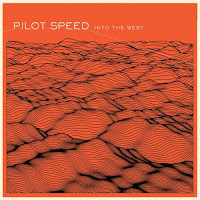 If you’re into the voice of Bono and the music of Radiohead then Pilot Speed’s latest album, Into the West, is one worth putting on your never-ending list of albums to buy. Even if you don’t dig U2 or Radiohead I dare you to not be impressed with the poetry of this Canadian band’s lyrics. Best listening environment for this album: driving. This entry was posted on February 7, 2007 at 2:53 pm and is filed under md, music, pilot speed. You can follow any responses to this entry through the RSS 2.0 feed. You can leave a response, or trackback from your own site.